Carnival Corporation today announced it has signed an agreement with the Port Authority of Barcelona to invest more than 30 million euros to build and operate its second private cruise terminal at the Port of Barcelona, which is used by seven of the company's 10 cruise line brands as both a destination and home port. As part of the agreement, the Port Authority granted Carnival Corporation administrative concessions to operate the cruise terminal and all-new parking facility at Europe's largest port and the fourth busiest port in the world. 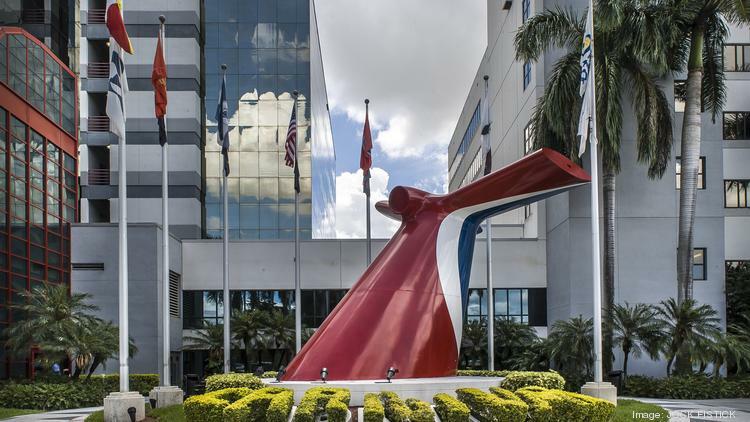 With the agreement, Carnival Corporation has been granted approval to begin the final design process and start construction of the new terminal in 2016. Scheduled to open as early as 2018 in the Port's Adossat wharf, the new terminal will be one of Europe's largest at 11,500 square meters. In addition, Carnival Corporation will collaborate with the Port to build and open the first public parking facility located on the cruise pier, providing guests embarking on cruises convenient access to over 300 parking spaces. "As an all-new, next-generation cruise facility, the terminal will be designed to enhance the overall cruise experience for Carnival Corporation's guests," said Michel Nestour, managing director of Carnival Corporation terminal operations in Barcelona. "This will include making it easy and convenient for guests, whether they are arriving at the terminal to begin a cruise vacation, disembarking following the completion of a cruise or visiting Barcelona as one of the ports of call on a cruise. In all cases, our goal is to exceed guest expectations through every stage of the cruise experience, and this new terminal will be built to meet that goal." "We are excited about our ongoing partnership with Carnival Corporation to enhance our facilities at the Port of Barcelona and continue our momentum as one of the top cruise destinations in the world," said Sixte Cambra, president of the Port Authority of Barcelona. "This new agreement ensures that we will continue to meet the growing popularity of cruising to and from Barcelona, accommodate the latest in cruise ship designs and most importantly provide cruise passengers with the highest levels of quality and service." Added Giora Israel, senior vice president of global port and destination development for Carnival Corporation: "In the past several years Barcelona has seen a consistent surge in growth as a very popular destination for our cruise guests. And as the largest port in Europe, it continues to be a great city and port for both our guests and our cruise line brands. We are excited to expand our operations at the Port of Barcelona with our second private terminal, as it enhances our ability to provide a great experience for our guests. Based on our very positive working relationship with our partners in Barcelona, we see a truly bright future for the cruising industry in Barcelona and look forward to continuing to work with the Port and the city of Barcelona to welcome our cruise guests to one of the most beautiful, vibrant and popular cities in Europe and the Mediterranean." Across its six existing terminals in 2014, the Port of Barcelona had 764 cruise calls and over 2.36 million passenger movements. Overall, according to studies by the Barcelona's Tourist Office in 2013, cruise passengers had an economic impact of nearly 257 million euros in Barcelona based on spending on restaurants, transport and trade in the city. A large percentage of cruise passengers are experienced travelers who take vacations as couples, single-unit families, multi-generational and extended families and friends, and who enjoy exploring cities such as Barcelona on their own or on organized shore excursions to visit museums, churches, restaurants, shops and more. When Carnival Corporation's terminal is launched in 2018, it will represent a significant expansion of the company's presence in the Port of Barcelona. Carnival Corporation operates four additional global ports, including Puerta Maya in Cozumel, Mexico; Grand Turk Cruise Center in Turks and Caicos Islands; Mahogany Bay in Roatan, Honduras; and Long Beach in California. Carnival Corporation also operates two private island destinations in the Caribbean, Princess Cays and Half Moon Cay. 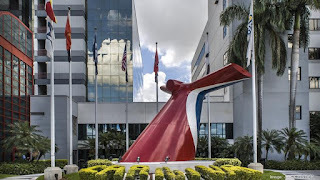 Carnival Corporation will open Amber Cove in October 2015 in the Puerta Plata region of the Dominican Republic, which will be the company's sixth global port operation. The company is also expanding operations at its Puerta Maya port in Cozumel, adding a third pier to be able to receive three ships simultaneously starting with the upcoming winter cruising season. In total, Carnival Corporation cruise ships visit over 725 ports of call around the world.